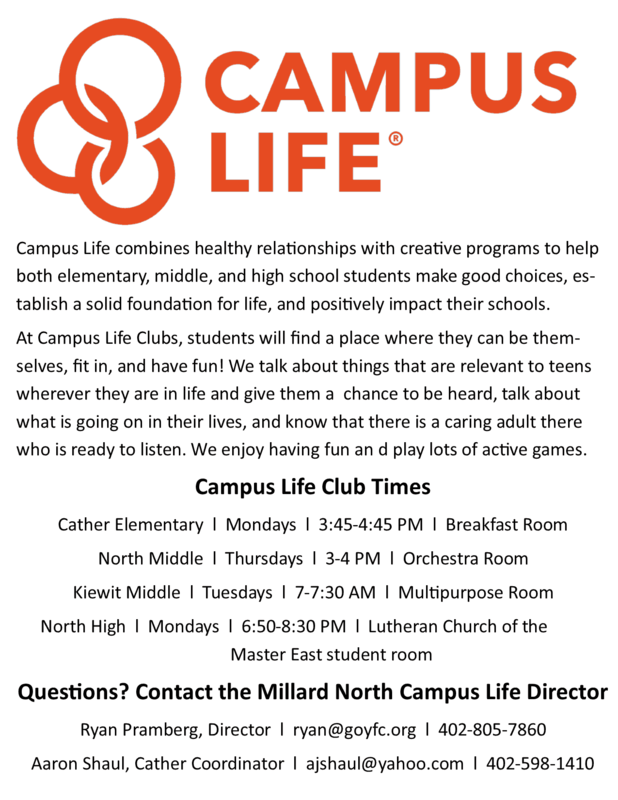 Campus Life is a part of a non-profit organization that needs resources and funding in order to grow in the Millard North area. 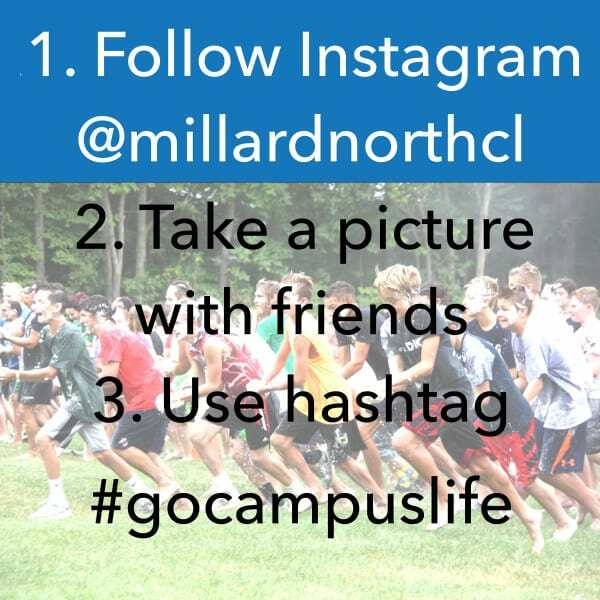 Would you consider joining Campus Life in reaching students? We need your help! We need lots of prayer, game supplies, cookies, candy, volunteers and so much more to effectively reach our youth. Will you join us? Click here to make a financial donation. We are looking for available and willing adults who have a heart for students. We need help in all areas from weekly volunteers to snack organizers and everything in between. Are you interested in having a positive impact on our Millard students and making a difference in their lives? 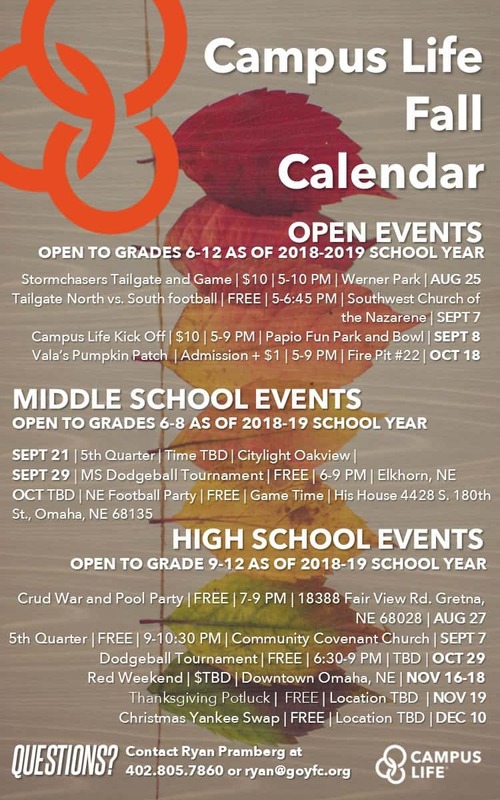 Contact Ryan Pramberg at ryan@goyfc.org or (402) 805-7860.